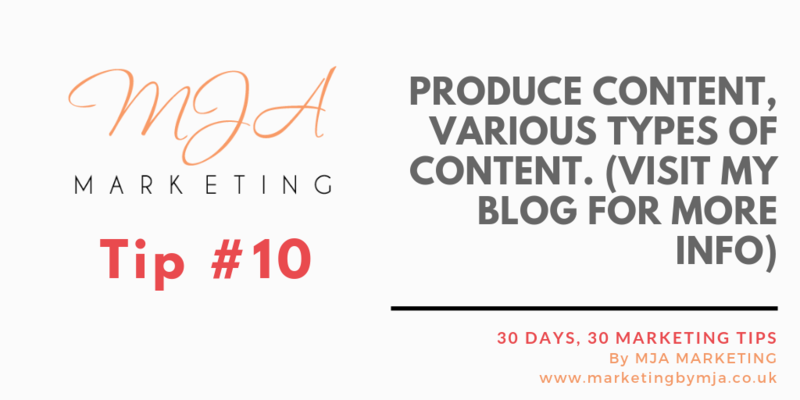 Marketing Tip 10: Produce content, various types of content. Read my blog ‘Content strategy – what types of content to publish‘ for a list of the various types of content you can create, and how to determine your content strategy. This entry was posted in 30 days, 30 marketing tips, Content marketing, SEO (Search Engine Optimisation). Bookmark the permalink.